Manning is currently serving a 35-year sentence in solitary confinement for handing over 700,000 sensitive documents from the U.S. State Department. WikiLeaks founder Julian Assange will agree to be extradited to the United States if President Barack Obama grants clemency to the former U.S. soldier Chelsea Manning, jailed for leaking documents, the organization said on Thursday. “If Obama grants Manning clemency Assange will agree to US extradition despite clear unconstitutionality of DoJ (US Department of Justice) case,” WikiLeaks wrote on Twitter. 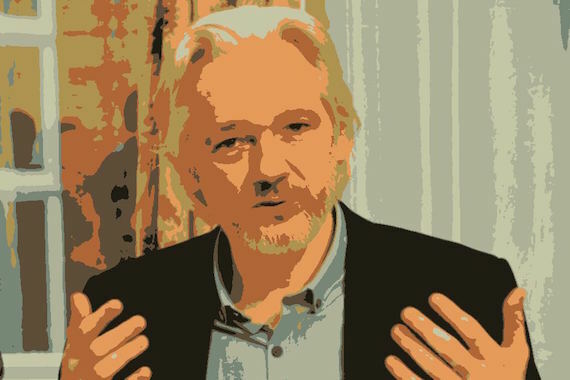 Assange has been living in the Ecuadorean Embassy in London since June 2012 to avoid extradition to Sweden to face sexual assault allegations. The Australian former computer hacker said he fears Stockholm will in turn extradite him to the U.S., where he angered Washington over WikiLeaks’ publication of thousands of U.S. military and diplomatic documents leaked by former US soldier Manning. Manning is currently serving a 35-year sentence in solitary confinement for handing over the 700,000 sensitive documents from the U.S. State Department. Supporters of the transgender soldier are putting their hopes in a pardon by Obama before he leaves office later this month, although the White House has said the president will not be granting her clemency. Manning has already made two suicide attempts and currently has an appeal pending before a military court. Washington has maintained the threat of prosecuting Assange over the 2010 leak, though no charges have been filed. WikiLeaks’ post on Twitter was accompanied by a letter addressed to U.S. Attorney General Loretta Lynch, in which Assange’s lawyer Barry Pollack argues there is no legitimate basis for continuing the investigation into the WikiLeaks founder.